The collaboration is part of a$US41 million ($AU57.3 million) Zero and Near-Zero Emissions Freight Facilities (ZANZEFF) grant preliminarily awarded by the California Air Resources Board (CARB), with the Port of Los Angeles as the prime applicant. The grant monies are part of a larger $US82 million ($AU114.6 million) program that will put fuel cell electric tractors, hydrogen fueling infrastructure, and zero emissions cargo handling equipment into operation in the ports and Los Angeles basin in 2020. 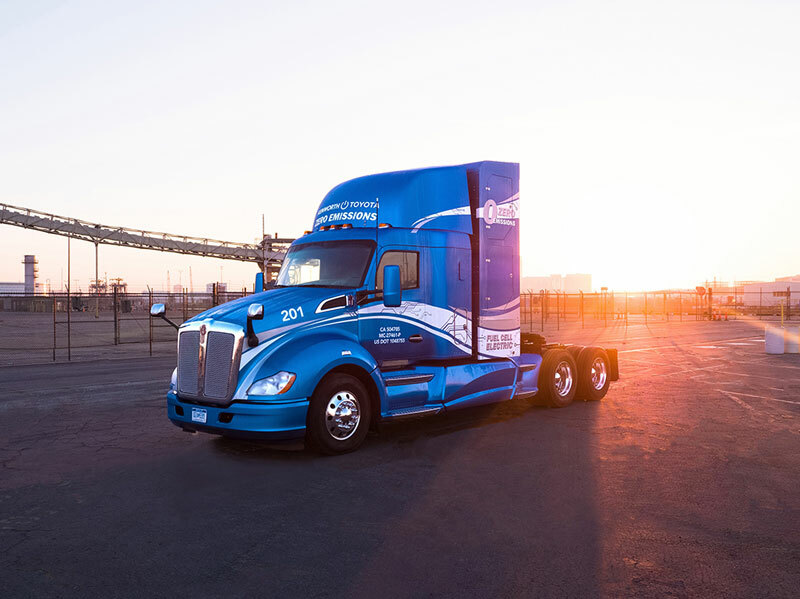 The Kenworth T680s will transport cargo across the Los Angeles basin and to inland cities while generating zero emissions, other than water vapor, thanks to their fully electric hydrogen fuel cell powertrain integrations co-developed by Kenworth and Toyota. Power management systems apportion electrical power from the fuel cells to the motors, batteries, and other components, such as electrified power steering and brake air compressors. The hydrogen fuel cell electric powered Kenworth T680s will have a range of over 300 miles (483km) under normal drayage operating conditions. The program will also fund foundational hydrogen fuel infrastructure, including two new fueling stations.